NORWELL, MA Issued June 20, 2018… The award-winning Company Theatre kicks of its 40th anniversary celebration as the South Shore’s professional theatre with the classic, Tony Award® winning musical Ragtime, with performances from July 27 through August 19, at The Company Theatre Center for Performing Arts, 30 Accord Park Drive, Norwell. Ragtime book is by Terrence McNally, lyrics by Lynn Ahrens, and music by Stephen Flaherty. The show is directed by Zoe Bradford and Jordie Saucerman, with music direction by Steve Bass and choreography by Sally Forrest. During opening weekend, The Company Theatre hosts a special Ragtime VIP Night on Saturday, July 28, 6:30 pm. Attendees enjoy a cocktail reception with The Company Theatre’s founders as well as VIP seating at a 7:30 pmperformance of Ragtime. Tickets to the all-inclusive night are $100, all proceeds benefit the Company Theatre’s 40thAnniversary Legacy Fund, established to ensure the accessibility of high quality theatre performance and education at The Company Theatre for the next forty years. $60 of each ticket purchased is tax deductible. An epic, visionary musical, Ragtime was chosen to launch Company’s 40th anniversary season this summer. “The story takes place at the turn of the 20th century with themes that are remarkably relevant for the political and cultural climate of today,” shares Zoe Bradford, founding Artistic Director. “The compelling characters and beautiful score bring this tale to show love and hope triumphant.” Bradford especially finds the exploration of social issues including liberty, justice, social classes, equality, activism and the concept of the American Dream appealingly evident throughout the script and score. 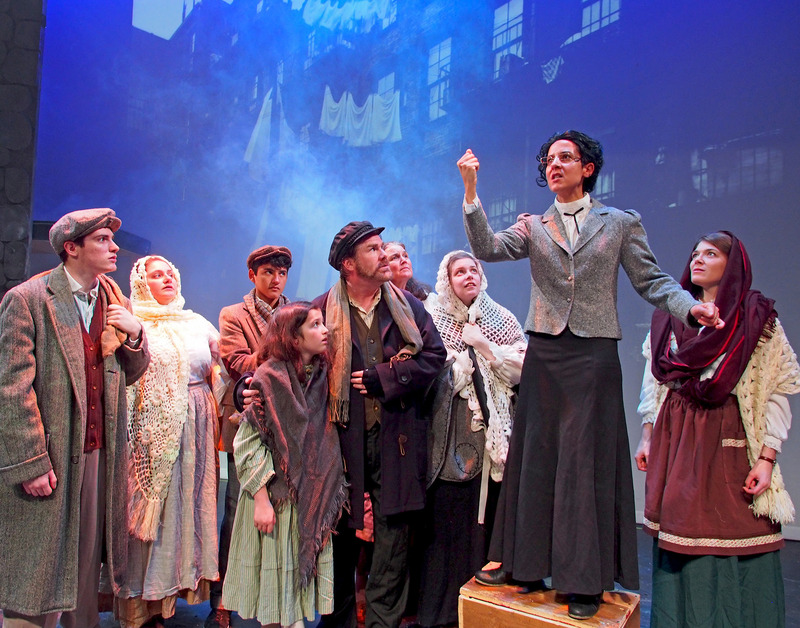 The anthem “Make Them Hear You” captures the essence of the musical’s objective to raise awareness for the need to provoke change, and is a source of inspiration for the cast. 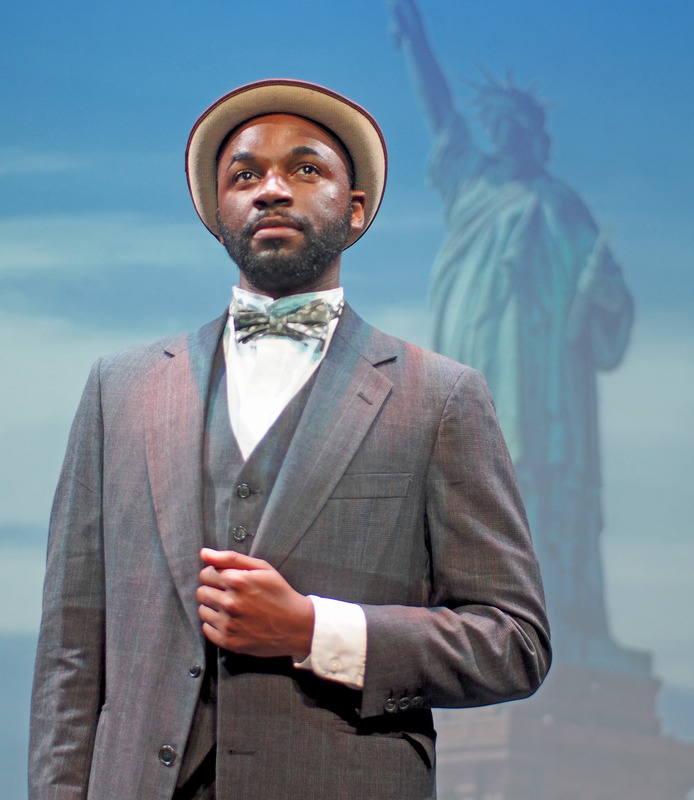 The Company Theatre first produced Ragtime in 2003, at a time when many other social issues were hot topics, bolstering the timelessness of this important theatrical work. 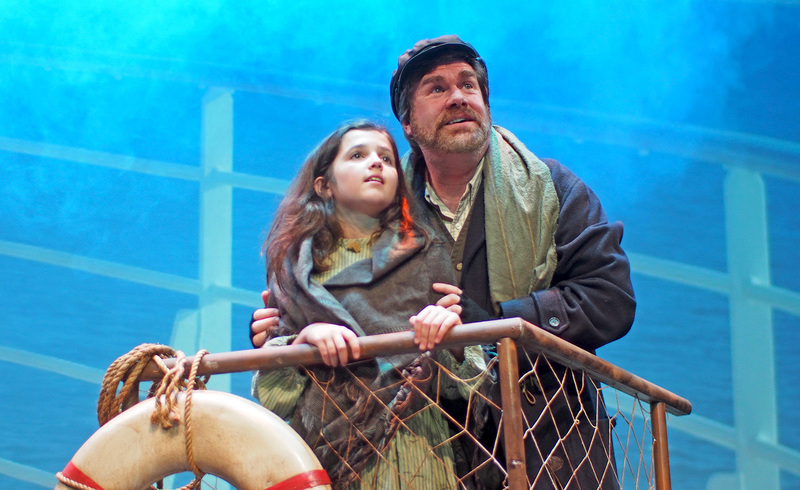 The current production brings its own celebrity actors to the Norwell stage, including Peter Adams, who revives his role as “Father” from the Ragtime National Tour. Davron Monroe, currently starring in the Boston production of The Wiz, portrays the role of Coalhouse Walker Jr. The large cast features many regionally recognized actors of all ages and backgrounds. At the dawn of a new era, everything is changing and anything is possible in Ragtime, the epic, historical, Tony Award® winning musical. Three distinctly different stories are woven together creating an unforgettable experience in turn of the 20th century America. A wealthy white family, a determined Jewish immigrant father and his young daughter, and a daring Harlem musician all share surprising interconnections of the human heart as they strive for their piece of the American dream. 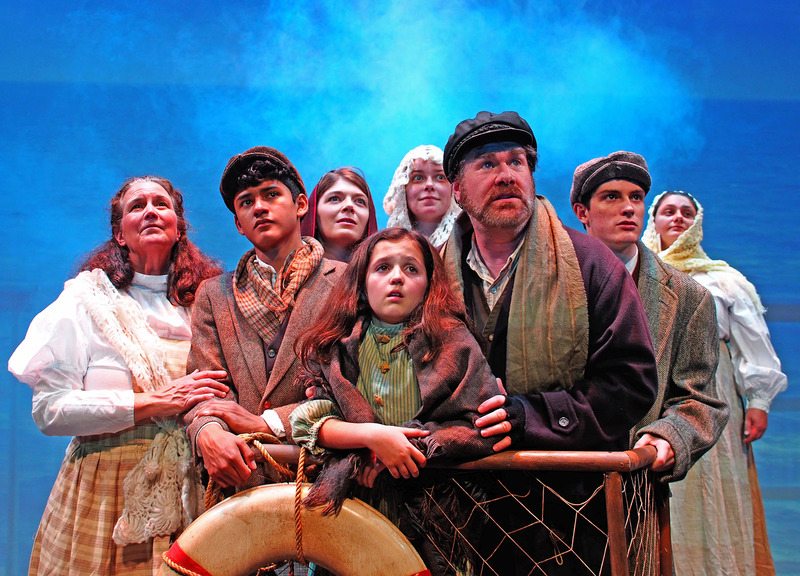 Unbridled optimism prevails in this grand ensemble musical that celebrates the spirit of freedom with a remarkable relevance in today’s social climate. Ragtime is adorned with The Company Theatre’s trademark glamorous costumes and gifted cast. Unique to this production, The Company Theatre’s prior tech director and current building supervisor Bob Grazioso created an exact replica Ford Model T to be featured on stage. Set pieces from the original Broadway national tour appear by special arrangement in this production, with additional set design by Ryan Barrow. Tickets for Ragtime range from $41 to $43. Show times are 7:30 pm on Thursday, 8 pm Friday through Saturday, with Saturday matinee performances at 4 pm and Sunday matinee performances at 3 pm. Family and Friends Fridays offers the limited quantity purchase of four or more tickets for Friday performances at $38 per ticket by calling or visiting the box office in person only. Beginning August 4, an “Under 40 for the 40th” Club launches, allowing theatre goers age 40 and under a special ticket purchase, including lobby reception. For a complete performance schedule or to order tickets, please visit www.companytheatre.com.